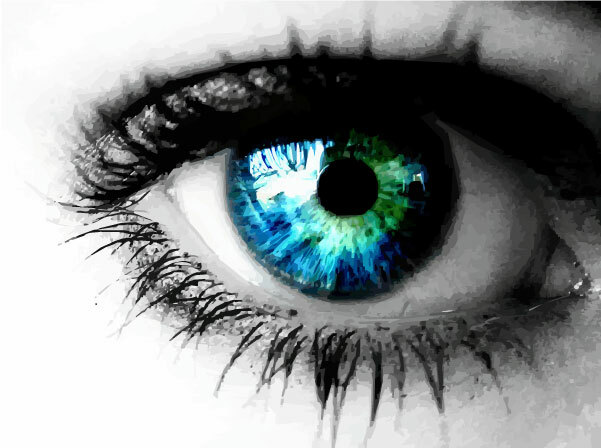 Older Third Eye readers may very well recall a television entrepeneur going by the name of Gerry Anderson. While my (and most U.S. based audiences of my generation forward) only real experience of the man hails from his live action mid-70’s SF series Space: 1999 (whose excellent, Star Trek gone dark premiere season was followed by a radical change in direction, tone and cast for a failed, more juvenile feeling second – and predictably final – one), what British viewers likely remember the man for best is a string of odd, “serious” marionette puppet shows bordering on both science fiction and action. Running throughout the entire decade of the 1960s, Anderson solely worked in the medium of what he referred to as “supermarionation”, producing such oft-referred to but seldom seen Stateside series as Supercar, Fireball XL5, Stingray, Thunderbirds, Captain Scarlet and the odd secret agent meets Catholic priest (or was it Anglican vicar?) hybrid The Secret Service. Unlike most television of the era (British or otherwise, and ITV, Thames or BBC in origin), the shows never really fell into syndication across the pond, remaining entirely unseen past their original airdates (if then). Anderson subsequently abandoned the (very likely demanding and time consuming) format for live action, producing such skewed, quirky live action series as UFO (which featured such notables as Zodiac and Whodunit? goddess Anouska Hempel and Italian exploitation regular David Warbeck), The Protectors (with Man From Uncle’s Robert Vaughn) and the aforementioned Space: 1999 (with Mission Impossible husband and wife pairing Martin Landau and Barbara Bain, Barry Morse and, in its flawed second season, the lovely Catherine Schell, who provided the sole reason for sticking with the show past S2 episode 1), before moving into CG animation in the 1990’s. One oddity in the bell curve of Anderson’s televised career exists, however. Because directly after abandoning the live action format of the 1970’s and prior to moving into CG animation in the 90’s, he made a brief return to marionette-based sci fi adventure with a series called Terrahawks. And Big Finish brings teleseries veterans Jeremy Hitchen, Denise Bryer and Robbie (Ben) Stevens together with Big Finish regular Beth Chalmers for a reprise of the earlier 1983-86 televised run. Now, it’s kind of hard to comment on a series I have no prior experience of, much less an effective children’s show (decidedly not our forte here at Third Eye Cinema). But the gist of it is that there are a team of Earth puppets…er, astronauts, who serve as the planet’s sole hope of defense against the dyspeptic Zelda (the creepy looking Shrunken Head type on the cover*) and a cast of oddly accented evildoers. Oh, and everyone’s either an android, clone or some sort of robot, apparently. 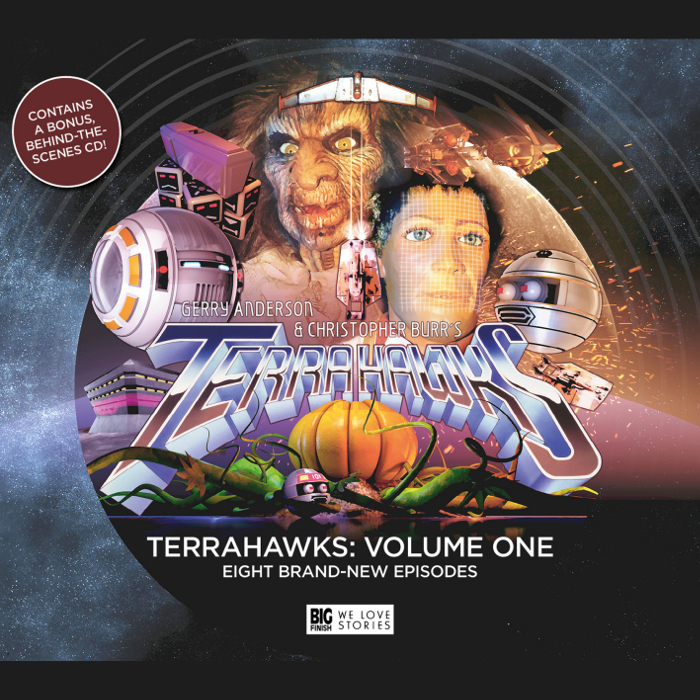 Like listening to an audio reprise of a Sid & Marty Krofft live action psychedelic campfest, Terrahawks comes recommended for those of a stronger constitution…towards absolute tongue in cheek, children’s entertainment oriented cheese, that is. If you can picture a cross between Witchie-poo from H.R. Pufnstuf backed up by the evil sea monster siblings from Sigmund and the Sea Monsters leavened by just a hint of The Bugaloos, Terrahawks should bring some gleeful memories of the halcyon days of youthful Saturday morning entertainment. Me, I was watching Secrets of Isis, Ark 2 and other classic Filmation live action back then, which while still cheesy and often saddled with “meaningful morals” (and notably at odds with their generally overly juvenile and “child psychologist approved” animated material) seemed a whole hell of a lot more “adult” in orientation than this sort of thing. At least they were shooting for watered down takes on such contemporary prime time fare as Wonder Woman, the Six Million Dollar Man and Bionic Woman, Planet of the Apes and Buck Rogers, with outright comedy being all but absent and camp elements being effectively unintentional and retroactive in nature. * that said, there’s an episode involving a premature funeral service for Zelda that has a few truly priceless moments – respect where it’s due. When it comes down to brass tacks, the fact is that as with all retro nostalgia ventures, the creators and participants are playing to a pre-existing audience. Fans of the property in question get to relive a much beloved piece of their collective past, with all new stories and many if not most of the surviving cast members reprising their original roles. While quality performance does bear with it the ability to gather new fans to the appreciation of previously unfamiliar material, that’s ultimately neither the goal or result as a rule of thumb: effectively, you dance with the one that brung ya. And as such, it really takes a Terrahawks fan to comment on just how good or variant from the original series these audios are. All I can say is that they’re jam packed with jokes and wry asides (the latter of which I can and to some extent did appreciate), and the actors and actresses in question certainly did a fine job of throwing themselves into multiple, often quite disparately voiced roles throughout (every personage involved performed a minimum of three characters apiece, with most carrying a stunning five roles each (!). Fans of Anderson’s supermarionation in general, and Terrahawks in particular, should find themselves pleasantly surprised by this one – that much I can offer with assurance.